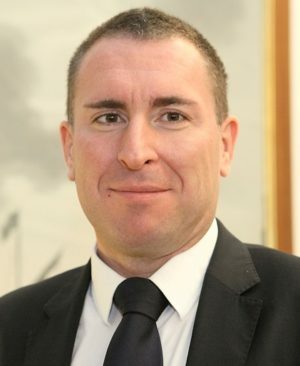 Bernhard Fragner is the CEO and founder of GlobeAir AG. Bernhard graduated as a civil engineer in mechanical plant design from Vienna University and received an MBA in aviation management. In 1994 he obtained his PPL licence and holds an EASA Part FCL ATPL license, including instructor endorsement and a type rating examiner authorisation, clocking than 7,500 total flight hours. He is also trained in all JAR post holder management positions at JAAT in The Netherlands. A passionate aviator himself, Bernhard is a strong believer in revolutionising short-haul travel, by applying an air taxi model, maximising aircraft utilisation and building strong IT support. With this in mind, it is not surprising that Austrian based GlobeAir, founded by Bernhard, was one of the first movers in the air taxi business, operating the world’s largest homogeneous fleet of Cessna Citation Mustangs since 2011. However, his main focus is on customer service and his personal mantra is ‘Passion into Profession’. Bernhard has been a member of the Baltic Air Charter Association (BACA) since November 2011 and joined the board of Directors of Citation Jets Pilots (CJP) in August 2014. In early 2000 Bernhard joined charity organisation Round Table Austria and was active in several board positions until 2012. In his spare time, Bernhard enjoys mountain biking and hiking with his family in the Alps, and loves flying small planes. He currently resides in the countryside in upper Austria, with his wife Linda and their daughter.